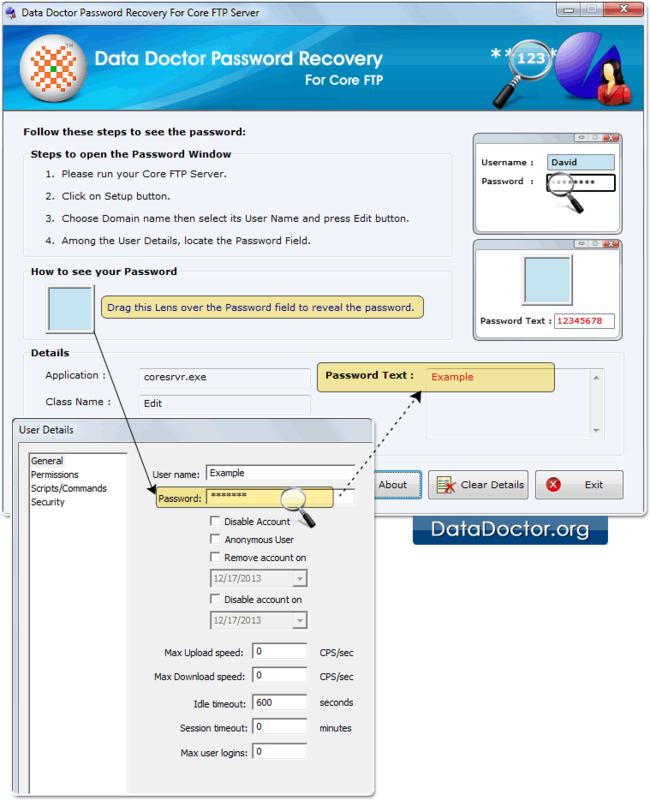 Password Recovery For Core FTP helps users to get back forgotten password from Core FTP account. Core FTP password retrieval tool is compatible with all major versions of windows operating systems. Software recovers lost password even with special characters. 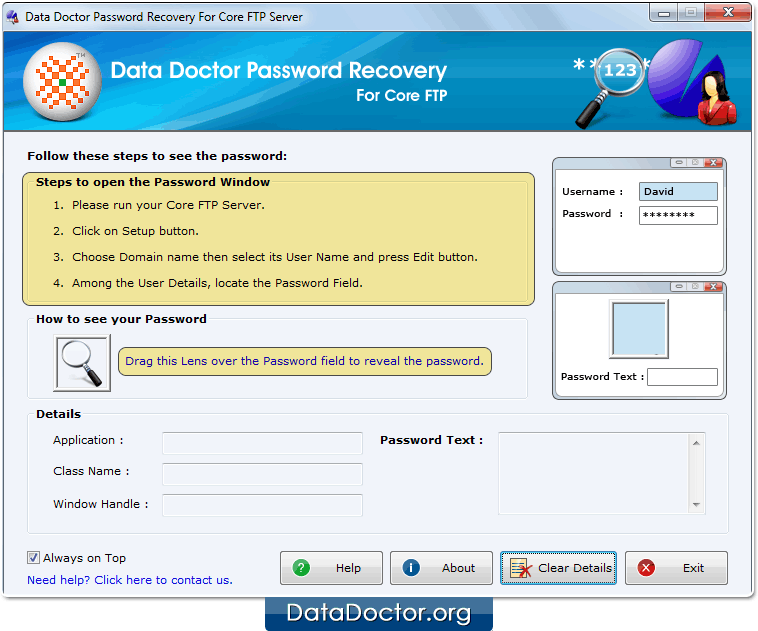 Run Password Recovery Software For Core FTP. Here, Choose Domain name and it's User name. Select User name and click on "Edit" button. Here, you see password field. Among the user details, locate the password field.